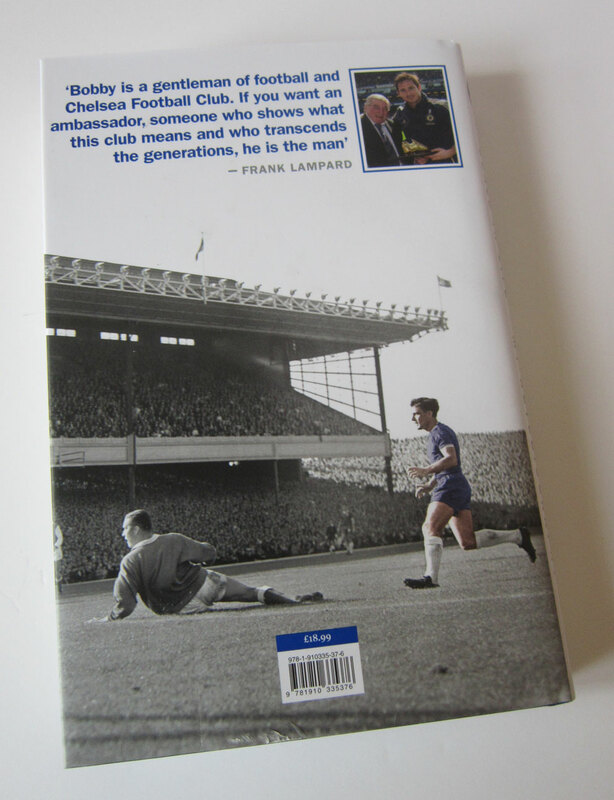 The other day I picked up a copy of the autobiography of a 1960s footballing legend. 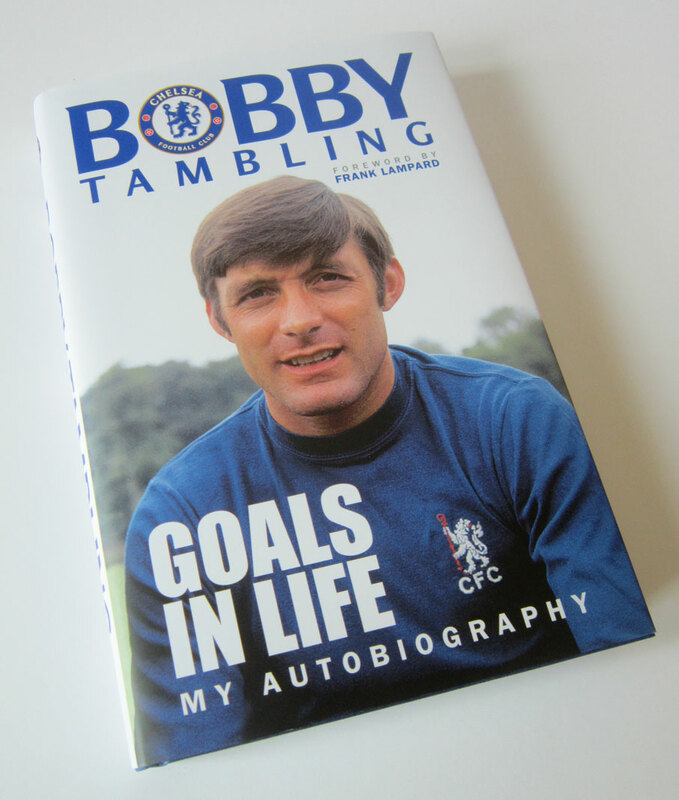 Bobby was banging in the goals for Chelsea, as the club mirrored the fashionable King's Road and became an iconic part of Sixties London. He was very much part of that young and exciting team, who lead by the enigmatic manager Tommy Docherty, became one of the most talked about teams of the decade. But despite all the glitz and the glamour, Bobby was an unassuming and down-to-earth guy who just got on with his job. 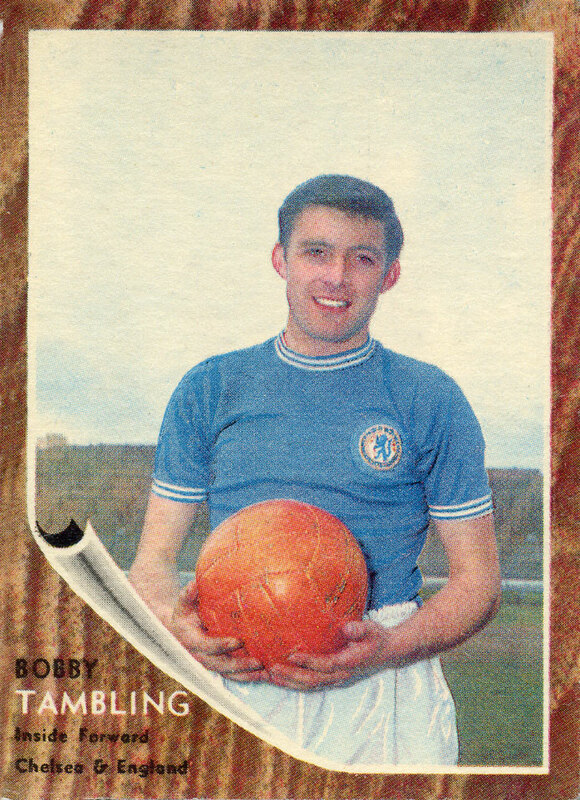 A classic A & BC card from 1963, showing Bobby in Chelsea's fashionable new kit. Through his tenacity and fighting spirit he became Chelsea's record goalscorer with 202 goals when he left the club in 1970. A phenomenal record which was only beaten by Frank Lampard 43 years later! 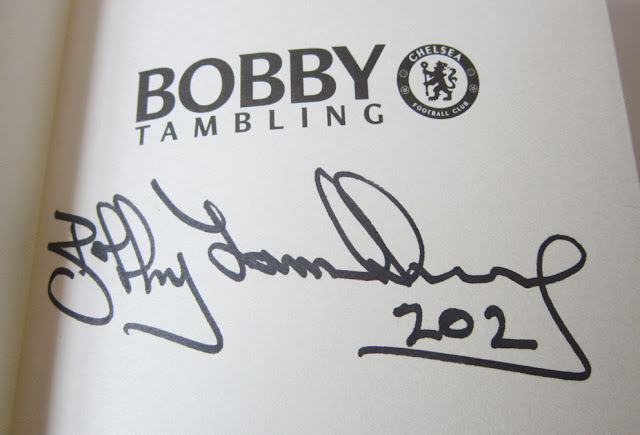 Brilliantly the book was signed by Bobby, with the nice touch of 202 added! Bobby is a true gent and a proper legend, who missed out on all the silly wages now swilling around the game, so had to dig deep to survive after his playing career was over. With serious ill-health in later life he needed his fighting spirit all over again, and the support he got from the club and its fans helped him battle through the tough times. Back in the late 80s, I actually met Bobby at a Save the Bridge charity game at Stamford Bridge. Unfortunately I can't remember it!! I do recall meeting Peter Osgood, David Webb, Tommy Baldwin and a few TV celebs of the day, but not Bobby. Years later I found the programme tucked away in the ArtPix Archives, and in amongst all the autographs, was Bobby's signature on a picture of him. What a shame I don't remember him signing it! 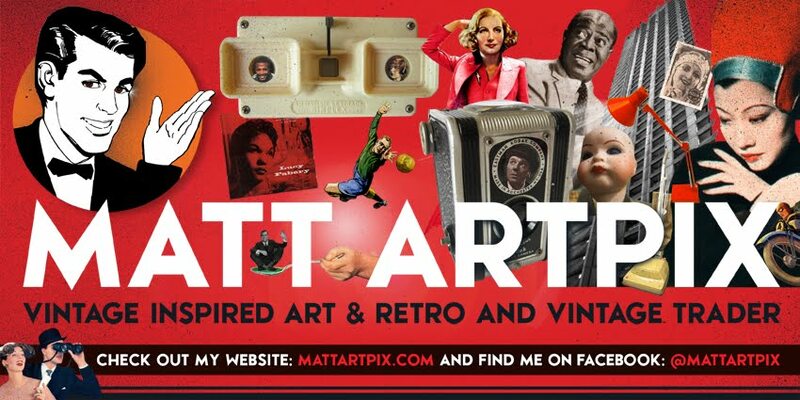 NEW STOCK AT THE CUSTOMS HOUSE!